LOS ANGELES - Coming off one of their best performances of the season at Washington State, the Trojans (13-10,6-4) were thoroughly outplayed offensively and defensively by the Utah Utes (12-10,6-4) at home on Wednesday night. 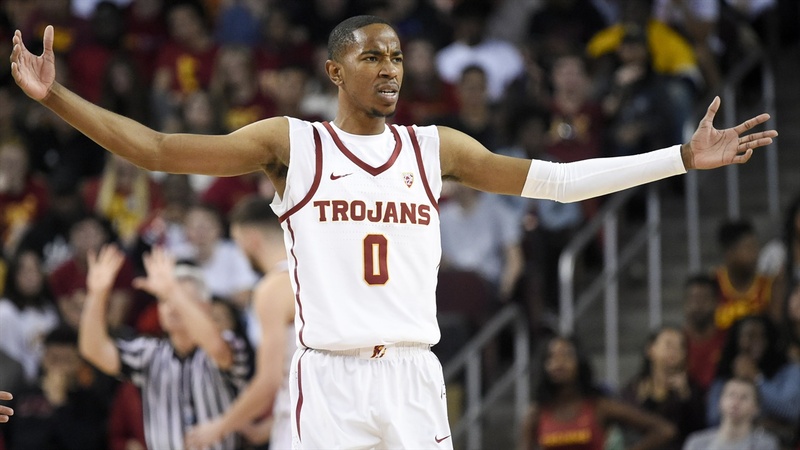 USC shot just 38% on the night and their poor play culminated in a 77-70 loss that ultimately snapped their seven-game winning streak at the Galen Center. After the game, Coach Enfield was blunt in his assessment of the team’s performance. As the Trojans faced a 37-23 deficit at halftime, their largest since their loss against TCU in December, two statistics stood out. USC, who leads the Pac-12 in assists, had just 3 in the first half (0 in the first 10 minutes) and managed only 1 offensive rebound after 20 minutes of action. They trailed the Utes 24-13 in total rebounds and a big part of that was the struggles of Nick Rakocevic. Rakocevic, the Pac-12’s second-leading rebounder, had just one at halftime and only scored two points in 11 first half minutes. After the halftime break, the Trojans showed resilience throughout the second half. They had 12 offensive rebounds and dished out 9 assists as a team in the second half alone. Enfield’s bunch tightened up defensively as well, and cut the deficit to 64-57 off a Nick Rakocevic lay-up with around 3 minutes left, but were ultimately unable to pull of the comeback. It was a deflating loss for a team that had been playing by far its best basketball of the season for the past few weeks. Team captains Bennie Boatwright and Jonah Mathews, who led USC in scoring with 17 and 18 points respectively, were straightforward when giving their thoughts on the tough night. Up next, USC will face Colorado at the Galen Center at 7:00 on Saturday night.